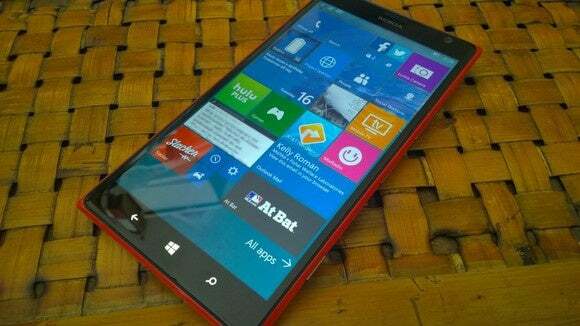 Microsoft hasn't released a flagship Windows phone in more than a year. This fall we may finally see a Lumia worthy of the upcoming Windows 10 rollout. While Microsoft has been busy putting the finishing touches on Windows 10—the new operating system for PCs, tablets, the Xbox, and phones—Daniel Rubino over at Windows Central has been trying to discern the future of Lumia phones. Now, he says he's got it figured out after talking to a number of unnamed sources. The new phones are reportedly working under the codenames Cityman and Talkman, Windows Central reports. Keen observers will note that we've been hearing those codenames for at least a year. They first popped up in June 2014 via Evleaks. A year ago, Cityman and Talkman were phones that were on the roadmap following the canceled McLaren project. As recently as May, Cityman and Talkman popped up in rumors about the upcoming flagship smartphones for the Lumia line. UnleashThePhones reported that Cityman was a 5.7-inch device with a QHD display, Qualcomm octa-core processor, and 3GB RAM. The Talkman, meanwhile, was said to be a 5.2-inch phone with similar specs to the larger device. According to Windows Central, that's pretty much bang on. The story behind the story: Windows mobile devices are still struggling to be of any significance in the larger smartphone market. Earlier in July, Microsoft took a step that many critics saw as a surrender to Android and iOS by scaling down its mobile unit. Regardless, among those who care about upcoming Windows smartphones there's a real hunger for flagship phones. Microsoft hasn't released a flagship device in nearly a year and a half as it waits for Windows 10 to land on mobile this fall. The biggest of the two phones will indeed be the Cityman, which may be marketed as the 950XL, says Windows Central. This device will reportedly rock a 5.7-inch WQHD OLED display with 1440-by-2560 resolution. You also get 3GB RAM, 32GB internal storage, microSD slot, Snapdragon 810 dual quad-core processor, infrared iris scanner for Windows Hello, 20-megapixel PureView camera, 5MP front-facing camera, USB Type-C connection, 3,300 mAh removable battery, and Qi wireless charging. The Talkman, meanwhile, purportedly offers a smaller 5.2-inch WQHD OLED display with the same resolution as its larger cousin. Under the hood it has almost all the same specs as the Cityman. The processor is downgraded to a Qualcomm Snapdragon 808 with a dual-core ARM Cortex A57 and quad-core Cortex A53. The battery is a slightly smaller 3,000 mAh, but still removable. The Talkman would be the Lumia 950 to the Cityman's 950XL. Both devices will come in white or black polycarbonate body. Keeping up the theme of skipping numbers, Windows Central says Microsoft wants to call these phones 950s instead of 940s--the next number up in the series--but it's unclear why. Windows Central has a heck of a lot more information about these phones, including secondhand "hands-on reports" and details about accessories like a Surface pen, smart cover, and docking station. We'll see if the first Windows 10 phones match those details when they launch in the coming months.